Most people have to rely on their vehicles for many of their daily responsibilities and tasks. Unfortunately, as beneficial and convenient as vehicles are for getting from point A to point B, they can also be very dangerous. Every day there are auto accidents that can have devastating physical, financial, and emotional consequences for those involved. With the inherent dangers of driving, it is especially important that those on the road make responsible decisions. Unfortunately, many fail to take these responsibilities seriously. Driving under the influence is one of the most reckless decisions a driver can make, yet on any given day, there are likely to be drivers on the road who have made this careless choice. For many of our Brooklyn clients, auto accidents and driving under the influence have resulted in severe injury, damage, and emotional hardship. At The Law Office of Gary A. Zucker & Associates, P.C., we fight for the rights of those who have suffered such consequences at the hands of a reckless driver who is under the influence. Driving under the influence is a very dangerous and irresponsible action. Alcohol and drugs affect a person’s reflexes as well as the person’s ability to make wise, rational decisions. With slower reflexes and poor rationale, the chances that an accident will occur increase significantly. Unfortunately, despite this knowledge, many people choose to get behind the wheel of a vehicle while under the influence of drugs or alcohol. This is such a problem that studies estimate that one-third of Americans will be involved in an alcohol-related collision within their lifetime. Just as with any auto accident, the consequences of accidents involving driving under the influence will vary. This type of accident may result in minor injury or property damage, or in wrongful death. 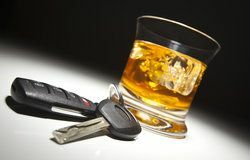 For all those involved in an accident involving driving under the influence, the results are potentially life-altering. One aspect that is unique about DUI accidents is that there is no doubt that these types of collision are completely avoidable. As such, it may be easier to determine fault when these accidents have occurred. Drivers who have made the choice to drive under the influence can and should be held accountable for the results of their actions. At our law firm, we fight to collect damages for victims of DUI accidents. Depending on the consequences of the accident, victims may be eligible for financial compensation for medical expenses, property damage, pain and suffering, and lost wages. If you or a loved one has been involved in an auto accident caused by driving under the influence, you have legal rights. At The Law Office of Gary A. Zucker & Associates, P.C., we understand those rights and can help ensure that you collect all due compensation. Contact us to discuss the details of your case and learn how we can help protect your rights during this difficult time. We look forward to working with you.